We want our students to achieve success in their lifelong goals, and that requires the help of parents. Parents have many opportunities to become involved in the therapeutic and academic processes at Discovery Academy. "We were truly grateful for the weekly sessions with our daughter's therapist and her focus and attention on what we could do to best help our daughter! It made our on-campus visits wonderful!" Twice a year, Discovery Academy holds a parent’s seminar event. All parents of students are invited to come to the school and experience for themselves what Discovery is all about. Parents participate in therapy groups, join with their children in activities, and get to see the culmination of months of music, drama, and art therapy in the form of the parent’s seminar variety show. The variety show is the result of long hours of work from the students. Students perform live music, dance, and put on a stage play. Students participate as actors, singers, lighting directors, sound mixers, dancers, and more. The show is performed for a live audience of parents, teachers, and staff. 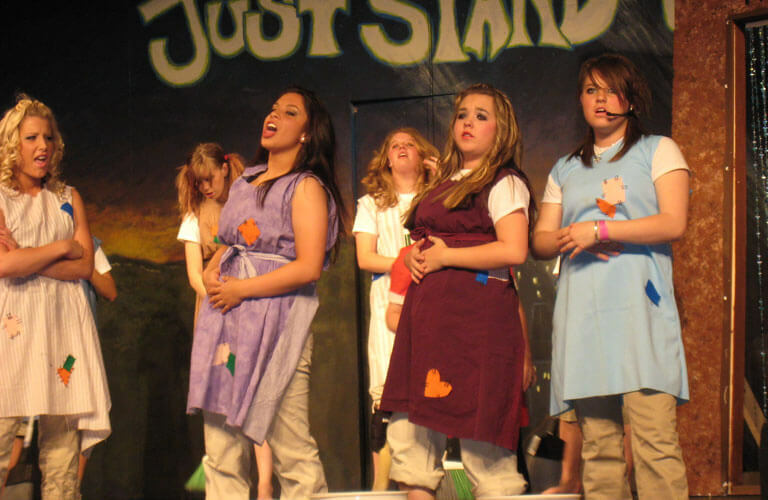 It represents more than just a school play, but rather a chance for students to make their experiences in drama, art, or music therapy come to life. It gives students a venue to shine and feel self-worth that comes from hard work and challenging goals. Parents, regardless of location, are asked to be involved with the treatment team process, setting expectations for their child and commenting on therapeutic progress through our parent portal. We want all parents to be a part of our team in finding the best ways to help our students succeed.